Cory Barlog as of late gave a discussion at the yearly Devcom occasion; a gathering for industry experts. Amid the discussion, he gave the participants a gander at the early idea craftsmanship for God of War, and discussed the hardships of God of War advancement. As per Barlog, he wanted to “give up many times,” amid the five long periods of improvement. As Barlog clarifies, the multi year development cycle of the most recent God of War was a long and troublesome process. The executive confronted feedback and opposition from many, including playtesters, individual developers, and even Shuhei Yoshida himself; the Sony boss was purportedly horrified after he played God of War out of the blue. While Barlog's ingenuity and vision have been plainly vindicated on account of the game’s huge achievement, even Barlog himself attempted to prop up amid advancement. As indicated by the director, he confronted some "dull, dim focuses." 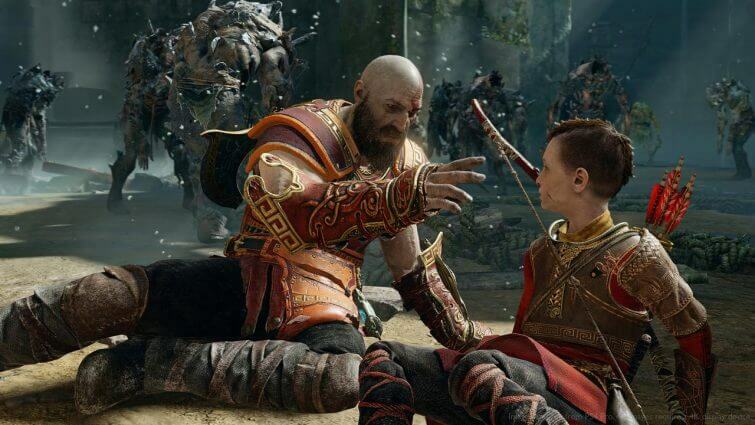 Barlog uncovered amid the Devcom talk that the character of Atreus was relatively cut from the game a few times. At a certain point, official maker Yuni Yang even approached him to devise an arrangement for the game without the character; inciting Barlog to “design the most arthouse game you’ve ever seen, which had Kratos saying three words throughout all of it”. Be that as it may, regardless of the opposition Barlog confronted and the troubles the group needed to survive, God of War has characterized gaming in 2018. Scarcely any games verge on making the level of success that God of War has over the most recent couple of months.